Kungsleden AB (publ) has signed leases with three tenants in Västerås, totaling approximately 5,400 sqm. 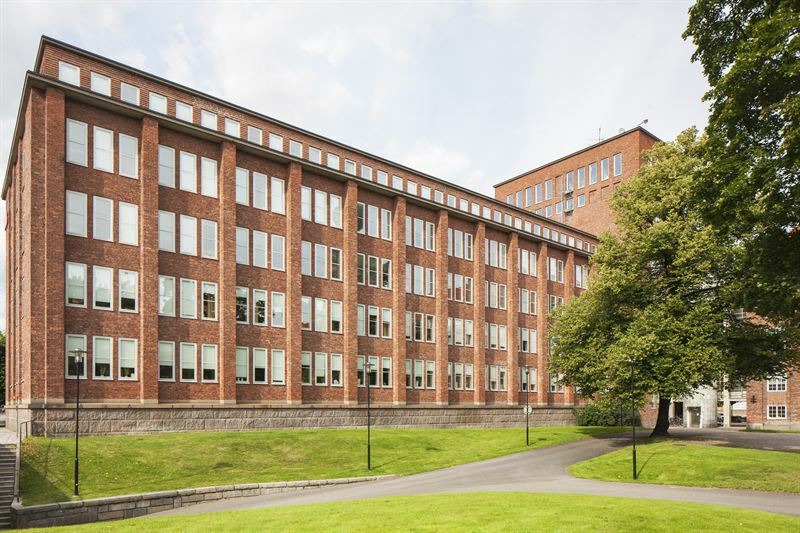 The largest lease is 3.031 sqm to the Migration Agency in the properties Ottar 5 and Ottar 6 in Kungsleden’s cluster Västerås City. Västerås is Sweden's fifth largest city and an important growth and logistics area whose attractiveness constantly increases, partly thanks to extensive infrastructure investments. Kungsleden owns 525,000 sqm, in the city, of which 153,000 sqm in the cluster Västerås City and 236,000 sqm in Finnslätten industrial park. The Migration Agecny is already leasing premises in the property Ottar 5 (the so called Melker building), but the operations are expanding and when the agency now needs more office space, Kungsleden was able to offer additional premises in the neighboring property Ottar 6 (the so called Nore building). Myndigheten lämnar nu 1 679 kvm i Ottar 5 och hyr från och med årsskiftet 2 538 kvm i Ottar 6 och 493 kvm i Ottar 5. ”It was important for us to find larger suitable premises at the right price without having to move so far. Therefore, we were very pleased that Kungsleden could offer us more space in the Nore building”, says Jonas Haglund at the Migration Agency. ”We are very happy to be able to offer these nice premises within our city cluster to the Migration Agency that has been our customer for many years. The property Ottar 6 is a centrally located brick building were the Migration Agency will get a highly visible entrance towards the Asea square”, says Mats Eriksson, Regional Manager Mälardalen, Kungsleden. Kungsleden has also signed an agreement with Mälarenergi’s subsidiary Fibra AB to lease premises in the block Mimer 5, also in the cluster Väasterås City. Fibra leases 1,200 sqm as of October 1, 2016. In the Tegnér area, the property Isolatorn, ABB will lease an additional space of 1,172 sqm. ABB will get access to the new space on September 1, 2016. The information was provided for public release on 26 August 2016 at 07:00 a.m.
Kungsleden owns, manages, and develops offices and other commercial properties in Stockholm and Sweden’s other growth regions. We create value by offering attractive and functional premises in the right locations at the right price. A significant part of our properties are gathered in clusters that enrich people´s working day. Kungsleden’s goal is to deliver attractive total return on our properties and to our shareholders.